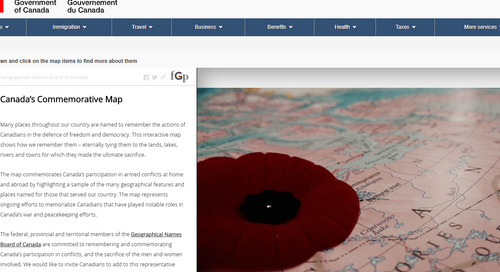 What’s the latest update on GeoAlliance Canada? 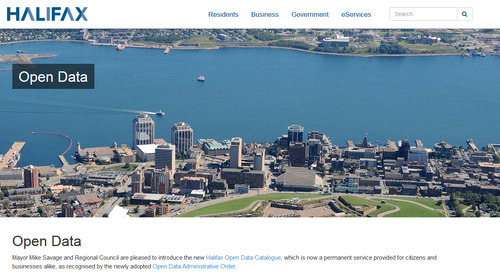 Which Canadian regional municipality won this year’s URISA Exemplary Systems in Government Award? 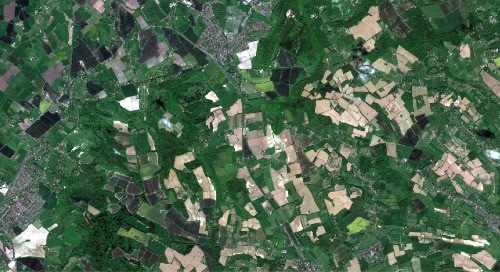 Why is geospatial data vital to the achievement of the UN Sustainable Development Goals? Find out in this month’s collection of the most significant SDI news. 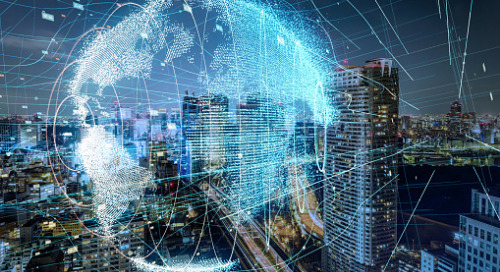 Here’s a look at what’s happening in Canada and globally in the world of Spatial Data Infrastructure (SDI). 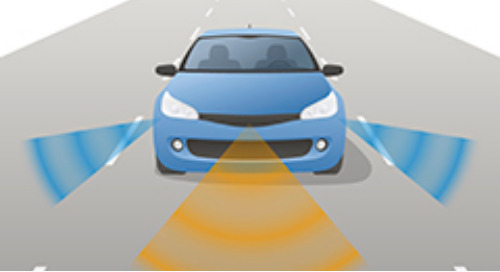 In this August 2015 post is a collection of the latest and most significant SDI news, data, products, and events. 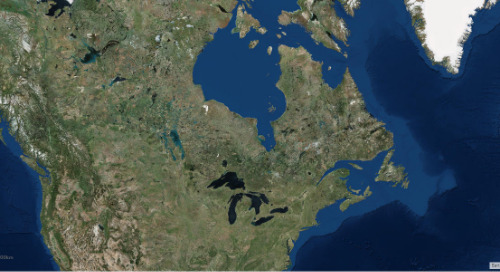 GeoAlliance Canada, the new national umbrella organization built from the work of the Canadian Geomatics Community Round Table, has now been incorporated as a national non-profit organization and will begin accepting registrations from groups and organizations this fall. GeoAlliance Canada will work to raise the profile of geo across the country by bringing together leaders and volunteers from all sectors toward a future where Canada’s geospatial sector is among the most innovative and competitive in the world. URISA recently announced the recipients of the 2015 Exemplary Systems in Government (ESIG) Awards, which recognize extraordinary achievements in the use of geospatial information technology that have improved the delivery and quality of government services. The Regional Municipality of York, Ontario won in the Enterprise System Category, which recognizes outstanding and working examples of using information systems technology in a multi-department environment as part of an integrated process. Canada's electoral boundaries commissions oversaw a redrawing of Canada's electoral district (riding) map to accommodate 30 new federal ridings in Alberta, BC, Ontario and Québec and make adjustments to existing ridings. This Esri map tool from the commission allows users to find their current electoral district and compare it to boundaries considered by the commissions. See ridings as they have existed since 2004, plus see the new boundaries for 2015. 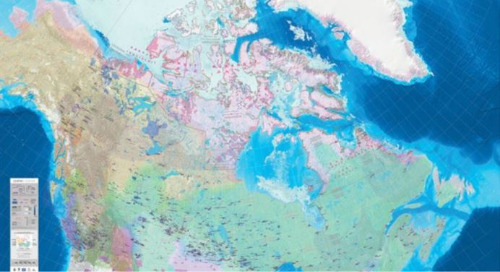 Airbus Defence and Space has signed an agreement with NRCan’s Canada Centre for Mapping and Earth Observation (CCMEO) to provide Canadian governmental and institutional data users free access to TerraSAR-X and TanDEM-X satellite imagery for pre-operational use. The agreement will support current efforts of Canadian agencies working on the development of operational monitoring concepts that exploit the benefits of using Canada’s C-Band radar mission together with the German X-Band satellites for maritime surveillance, disaster management and environmental monitoring. Check out the 1000+ maps of Winnipeg, Brandon and other regions of Manitoba posted on the Historical Maps of Manitoba Flickr account. While the cartographic material is numerous, its location is scattered throughout many different institutions, including Library and Archives Canada, Archives of Manitoba and the University of Manitoba Archives & Special Collections. The goal of the digital collection will be the ongoing identification, location, scanning and displaying of these intriguing images over the Internet. 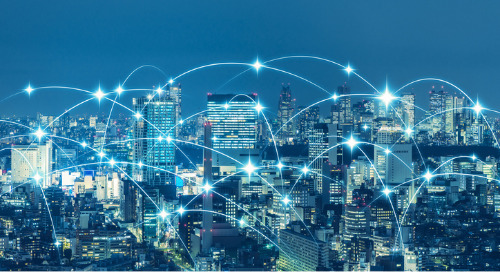 Geographic information about people and the planet is critical to making better decisions and using resources more wisely, and will be vital to achieving the new Sustainable Development Goals that countries have recently agreed on, according to a United Nations expert on the issue. Geospatial information shows where social, environmental and economic conditions occur and is indispensable for advancing the global development agenda, particularly the 17 Sustainable Development Goals that world leaders will formally adopt this September in New York. Esri is joining the Global Partnership for Sustainable Development Data organized by the Sustainable Development Solutions Network (SDSN). This partnership with SDSN, the World Bank, the United Nations, the ONE campaign, the Bill and Melinda Gates Foundation, the Center for International Earth Science Information Network and others will provide financial, political and technical support for data creation that supports the Sustainable Development Goals. 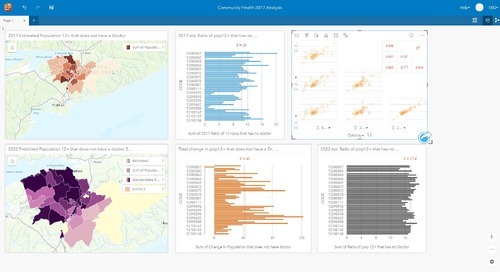 Esri will provide the ArcGIS platform to least-developed countries for the collection, management, monitoring and use of sustainable development goals data. Big Data: where did all California’s water go? In light of the state of California's water crisis, Governor Brown is trying to control who can use water and what it can be used for through executive approval, and local municipalities are being taken to court (and losing) for trying to have illegal tiered pricing. 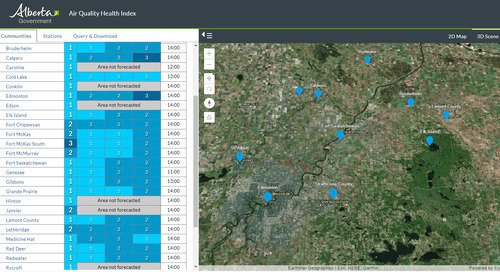 Charging people more for water won’t make more water, but through the use of technology, water utilities can identify things like underground leaks and other sources of non-revenue water loss, specifically by using Esri’s Nighttime FlowAnalysis solution. 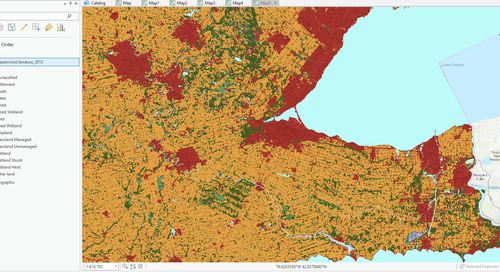 When the United States Bureau of Land Management (BLM) completed the initial collection of the Public Land Survey System (PLSS) dataset, they realized they needed a solution that would easily support updates to PLSS Cadastral National Spatial Data Infrastructure (CadNSDI) data; could be used by states, local governments and all federal land agencies; and be a commercially supported product. 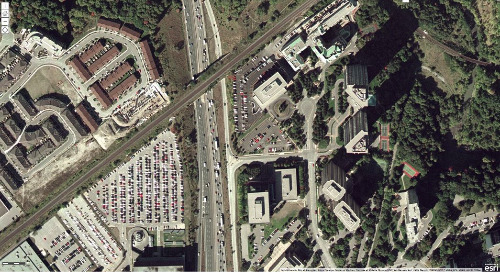 Esri’s parcel fabric — a dataset for the storage, maintenance and editing of parcels — has widely been regarded as a viable solution for maintaining measurement accuracy and bringing uniformity to the maintenance of cadastral datasets. Recently, the BLM Cadastral Survey has fully adopted Esri’s parcel fabric to maintain PLSS data. Ocean Networks Canada, an initiative of the University of Victoria along with others, has completed the installation of a WERA (WavE RAdar) NorthernRadar system at the Tofino Airport in British Columbia that will detect near-field tsunamis. It is anticipated that the radar will be able to detect the surface expressions of tsunamis up to 100km from shore, which will provide 20-30 minutes of advance warning. As government agencies move to make more data publicly available, choosing the right tool for the data is key. 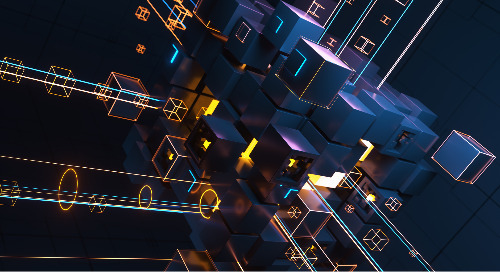 While simple, already-structured or static data that doesn’t need visualization can be posted in any number of ways, other datasets need special handling in order to be truly accessible and useful. 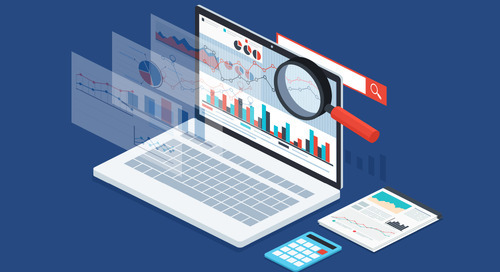 A number of commonly used and adaptable open data portals for the public sector were explored in a recent Webinar with Safe Software, a data conversion and integration software company. ArcGIS Pro represents Esri’s strategy for creating modern GIS desktop software that tightly integrates with the ArcGIS platform. 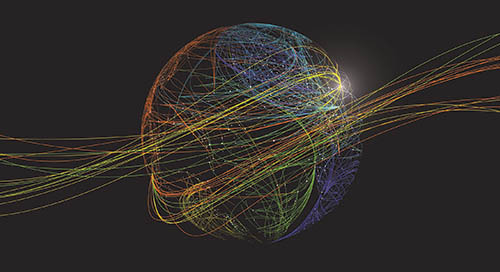 ArcGIS Pro 1.0 was first released in January as a strong tool for: visualization, supporting both 2D and 3D; analysis, containing the vast majority of the geoprocessing tools; support for multiple layouts; and sharing via packages, 2D Web maps and 3D Web scenes. 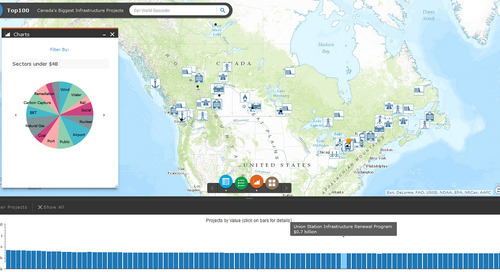 Esri continues to listen to user feedback and build upon the strong foundation of ArcGIS Pro. 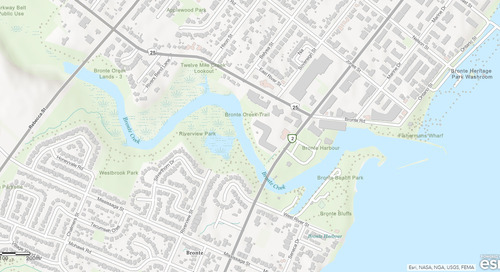 In July, Esri released ArcGIS Pro 1.1, which has many of the top enhancements that users have asked for. 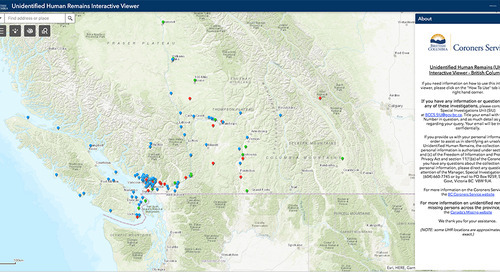 Esri’s Web AppBuilder for ArcGIS v1.2 Developer Edition is now available for download from the ArcGIS for Developers site. 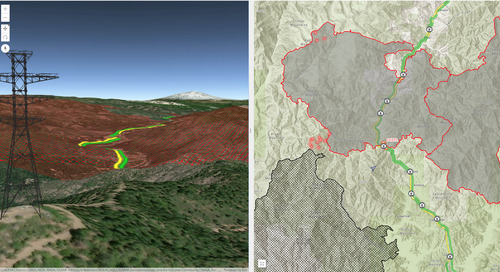 It includes many new capabilities that were added to the embedded Web AppBuilder for ArcGIS in ArcGIS Online. Several new templates have been added to make it easier for you to create new Web apps. The official report from the INSPIRE Conference 2015 and the Geospatial World Forum in May 2015 is now available. The theme of the conference was “Convergence – Policies, Practices, Processes and Public Private Partnerships”. Keynote speaker Prashant Shukle from Natural Resources Canada indicated that he believes that geomatics has opened up a plethora of opportunities for the public sector. With a record attendance of close to 17,000 delegates, the 2015 Esri International User Conference (Esri UC) – themed “Applying Geography Everywhere” – emphasized the wide range of geospatial apps developed by GIS users and partners who specialize in their own specific customer requirements. The UC focused on the use of spatial technology for the needs of people and included presentations on apps for the environment, conservation, disaster management, climate change and development. 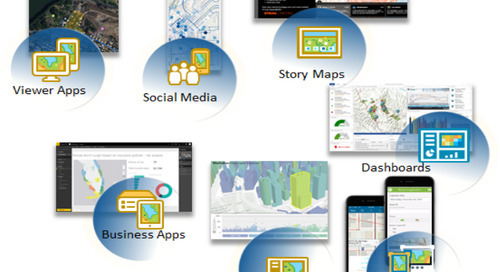 In an effort to maintain an open and ongoing conversation with its users, Esri has provided answers to common questions about software development, products, education and support on its Esri UC Web site. If users have additional questions, Esri President Jack Dangermond encourages them to join the new Esri community, GeoNet, where users can share, chat and collaborate on all things “geo” with other geospatial enthusiasts around the world. 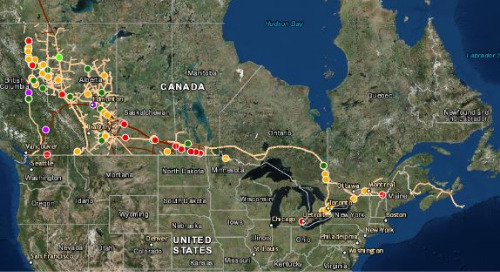 Why is Web GIS so important for public policy makers?